1 What is a tree? 1.1 What is the difference between a tree and a bush? 1.2 What are fern trees? 1.5 What is the size of a tree? 1.6 Types of trees. How many species of trees are there in the world? A tree is a woody-stemmed plant with a minimum height ranging from 3 to 6 meters. The stems are known as trunks, which do not branch until a considerable height above the ground. 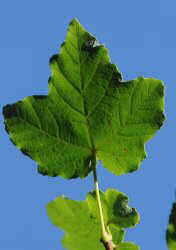 To be considered a tree a stem must have a minimum circumference of 30 cm. A tree should have a single trunk or main stem, and a clear crown, formed by side stems or branches. What is the difference between a tree and a bush? 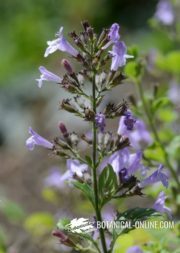 In case the plant has several woody stems or a minor height, the plant is said to be a bush. 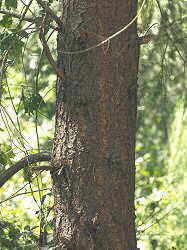 For many authors having a woody stem and producing side shoots or branches are essential for a plant to be considered a tree. In a broad sense, taking into account the shape and size, plants as the palm trees can be included within the same definition, although they are devoid of branches and they are actually formed only by stems and leaves. In fact, in English they are known as “palm-trees”, for the resemblance of its leaves with the palm of one’s hand. Some authors also consider as trees some giant cacti, although they don’t have real leaves as these are adapted to drought in the form of spines. Among these, the most prominent is the Saguaro tree (Carnegiea gigantea). Some authors even believe that fern trees can enter into the same concept. 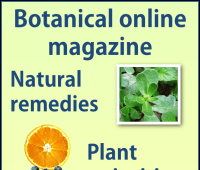 They are plants that grow in tropical and subtropical Australia, Malaysia and New Zealand. In this case they don´t produce wood logs since the “trunks” that rise their fronds are composed of a fibrous mass produced by their roots and the remnants of dead fronds. Among the best known is the Tasmanian tree fern (Dicksonia antarctica), which can reach 15 m in height. It is It is used as a garden plant. 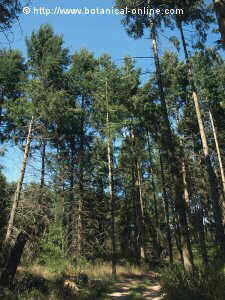 Science and cultivation of forests is called silviculture. 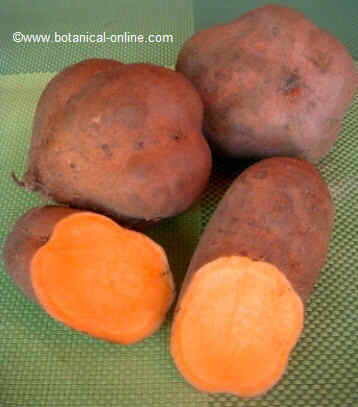 The word comes from the Latin word “silva” (= forest) and “culture” (= cultivation). Although forests began to be be cultivated in the Middle Ages, forestry as a discipline does not appear until the late nineteenth century in France and Germany. Forestry is concerned with the establishment, growth, composition, regeneration and forest health. Arboriculture includes the study of trees and shrubs in urban areas. It would be the equivalent of forestry applied to streets, public squares, parks and gardens. Pomologie is a branch of horticulture that deals with the study and cultivation of plants that produce fruits, especially the trees. 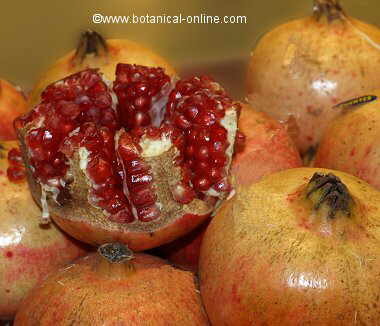 The word comes from Latin “pomos” (which means “fruit”) and “logia” (meaning study). It includes the whole knowledge and skills to achieve better production of fruit trees in large orchards. Gardening explores the cultivation of trees from an ornamental or productive point of view. Unlike Arboriculture and Pomologie, it studies them from a rather particular perspective, within smaller spaces and less investment in manpower and machinery. – Root: is the part of the tree that remains underground. Its main function is to hold the tree and absorb water and minerals from the soil. Most trees have one main root from which secondary roots emerge. – Stem: The stem is the tree structure that separates the roots from the crown, where the branches and leaves are. In the case of trees the stem is called a trunk. – Leaves: They are one of the most important parts of the trees since they are responsible for carrying out photosynthesis, respiration and plant transpiration. 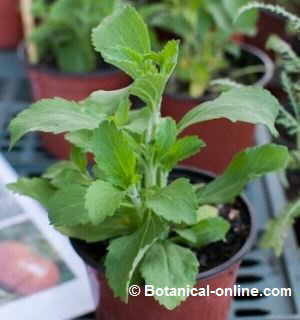 – Branches: Branches are the side shoots that originate from the buds. – Flowers: Flowers are the sexual organs of the trees. Flowers become fruits. What is the size of a tree? The size of a tree can be very diverse. There are trees of different heights and volumes, from those about 5 meters tall and whose trunk does not exceed 15 cm in diameter, to those measuring up to over 100 m high and with a trunk diameter exceeding 6 m wide. Larger trees are species belonging to the giant Sequoia (Sequoiadendron giganteum). 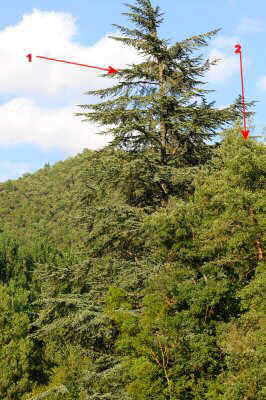 It is believed that the higher tree is a sequoia, called Hyperion, with 115 m height. Considering the amount of wood from a tree, not just the height, we would say that General Sherman stands out from them all. It is about 3500 years old and 83 meters high. It is estimated that it weighs over 2000 tons and is 24 meters wide at a height of 1 meter and a half above the ground. he Hyperion belongs to the variety of coast Sequoia, while the General Sherman sequoia is a inland species. In Spain, one of the largest trees is known as “Grandpa.” . It Lives in Chavin, in the province of Lugo. It is a eucalyptus tree, about 150 years old. The trunk measures 2.5 meters in diameter at its base. It is believed to be the biggest tree in Spain and one of the largest in Europe. One of the monumental trees of the world is the cypress tree or Tule tree. This is called Montezuma Cypress (Taxodium mucronatum), a tree of the cypress family. It attains a diameter of 14 meters, which is considered the thickest tree on Earth, being 41 meters high and weighing 636 tons. Although its volume is not as big as that of the sequoias, the crown is much broader. It is estimated that 500 people could be placed under it and about 30 people with arms outstretched would be needed to encircle its trunk. No one knows exactly how old it is, though it might be about 2000 years old. It is next to the church of Santa Maria del Tule, near Oxaca (Mexico). It is the national tree of this country. Types of trees. How many species of trees are there in the world? 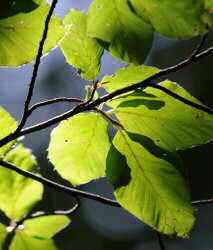 There are approximately 60.000 o 70.000 species of trees. They can be sorted by numerous criteria, from their use in gardening until the value of its timber. However, the two main criteria which are usually taken into account are the duration of the leaves and the type of flowers they produce. 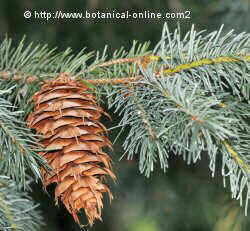 – Evergreen trees: Evergreen trees are those that hold the leaves throughout the year. – Flowerless trees (gymnosperms) are those that produce seeds but these are not enclosed within the carpel, but they are fixed in a number or two at the base of the scales. 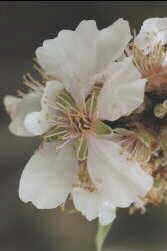 – Trees with flowers (angiosperms): These are trees whose seeds are enclosed in maturity within the fruit. They have very showy flowers. There are approximately 224,000 known species. 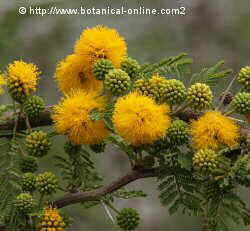 Firs do not produce flowers.They belong to Gymnospers Acacias can produce very showy flowers. 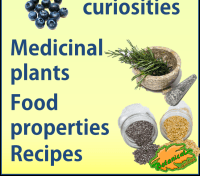 They are included in the angiosperms. Besides the benefits deriving from their main uses, we must mention some benefits inherent to their cultivation in the countryside or the urban areas.. Trees play an important role in protecting the environment. Trees are responsible for providing the oxygen we breathe and removing carbon dioxide, causing global warming which involves the dreaded greenhouse effect. 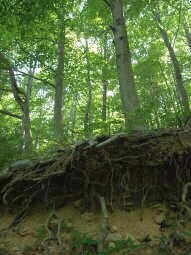 Trees protect the soil from erosion. Their branches and leaves stop the direct impact of the drops. 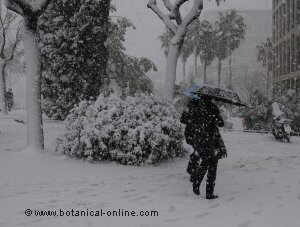 In urban areas trees are also able to moderate the effects of sun, rain and wind. 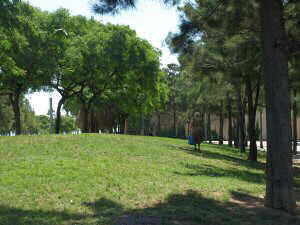 Trees provide shade suitable for people, other plants or animals. Trees are part of a global ecosystem in which many organisms live. For million years the Earth has enjoyed the benefits of trees. However, today, their survival is threatened. The main problems that threaten them are forest fires, pests and diseases, felling of tropical and subtropical forests, persistent drought and acid rain. Keeping away from forest deforestation and preserving the rural and urban trees in the best conditions is the best way to preserve our living planet Earth.